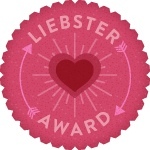 Yesterday I was nominated for the Liebster Award by Anna from Anna Little Fashion, You can click on the link here to read Anna's blog & follow it - And thank you Anna for the nomination ! The meaning of Liebster in German is sweetest, kindest, nicest, dearest, beloved, lovely, kind, pleasant, valued, cute, endearing & welcome. 2. I don't like black screens on phones, Laptops, etc. they make me feel enclosed. 11. I would like to dye my hair orange when I am older. 1. If you had to pick between asos, topshop and miss guided who would win? 2. What is the one thing you feel your blog has that others doesn't? 4. What is your biggest goal this year? 5. What song currently sums up your year? 7. If you had one make up product, one nail varnish and one electronic device on a beach, which products would they be? 8. What is the best book you have ever read? 9. In one word, what is your style? 10. Why did you first ever blog? 11. What is your favourite food? 2. I feel that my blog has a mixture of everything soo there's something for everyone. 3. My dream job would be an actress - I love acting ! 4 . My biggest goal this year is to be a much more positive person. 5. Emeli Sande "My Kind Of Love" would sum up my year. 6. Purple is my favorite colour ! 7. I would have Essence Colour Changing lipgloss, Essence Colour & Go nail polish in sparkly turquoise & my Blackberry !. 8. Angus, Thongs & Full Frontal Snogging - Best book EVER ! 11. Hard one ! My favourite food is black pudding ! 1. If you won the Lotto, How would you use your winnings ? 2. What or who inspired you to start blogging ? 3. What is your dream job ? 4. What is your favourite "if money was no object" brand ? 5. What was the last film you watched ? 6. How do you describe your style ? 7. What is your least favourite food ? 8. Do you have any pets ? 9. What is the best piece of clothing you bought this year ? 10. What makes your blog unique ? 11. What is your favourite high street clothing shop ? I see you didn't nominate eleven people. I don't follow eleven bloggers under 200 followers, so if I only put down 6 would that be okay? Just wondering! Yea I'm sure it will - I didn't have time !